The Vikings addressed a roster need in free agency this week with the addition of right guard Josh Kline. A veteran who has started 46 straight games, Kline has split the first six seasons of his career with Tennessee and New England. 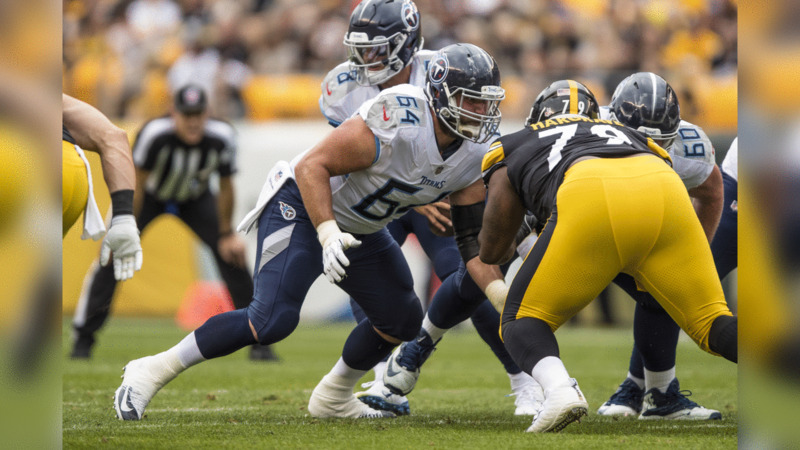 Kline’s play at right guard for the Titans over the past three years helped Tennessee rank in the top half of the league each season. But now that Kline is in Minnesota, where does he fit into the Vikings offensive plans? Chad Graff of The Athletic recently wrote that Kline could slot in right away as a starter with his new team. Kline’s addition provides a bit more clarity to what the Vikings’ starting offensive line could look like, though there’s still some uncertainty and likely more additions on the way. Pat Elflein will likely remain at center with Kline at right guard. If the Vikings draft a guard in the first round, they’ll likely keep Riley Reiff at left tackle and Brian O’Neill at right tackle. If they draft a tackle in the first round, they could slide O’Neill to left tackle and Reiff to left guard, opening a spot for the new addition at right tackle. Kline becomes the second player on the Vikings roster who has won a Super Bowl, joining Linval Joseph for that honor. Kline won Super Bowl XLIX with the New England Patriots after the 2014 season, but doesn’t look at himself as a vocal addition to the locker room. [Note: Kline didn’t play in the Super Bowl, but he did start in the AFC Championship]. An undrafted free agent out of Kent State, Kline has appeared in 79 career games in six seasons and has made 64 starts. The 29-year-old said Thursday in a conference call with Twin Cities media members that he is familiar with Minnesota’s offensive scheme and is looking forward to exploring his new home. The Annual League Meeting kicks off early next week in Arizona where NFL owners, general managers and coaches gather to discuss the state of the league. The event is also a time to review potential rule changes, something ESPN writer Kevin Seifert said will happen in the desert. Seifert recently wrote that the NFL’s Competition Committee has proposed two different versions of modified instant replay that will be looked at next week. Both call for a one-year trial before any permanent decisions are made but would still need approval of 24 owners to be implemented. Seifert also noted there are also “seven club proposals relating to replay” that will be looked at, along with a host of other proposed rule changes submitted by NFL teams.